notNeutral Seasons Rug (msnoserug) at Pure Design / Accessories / Rugs ::: Furniture for the Home, Office, Home Office, and More at Pure Design Online! All notNeutral rugs are handmade in India and GoodWeave-certified. GoodWeave is an international non-profit organization working to end exploitative child labor in the rug industry and offer educational opportunities to children in India, Nepal and Afghanistan. The GoodWeave label offers the best assurance that no illegal child labor was used in the manufacture of a carpet or rug. All notNeutral rugs are GoodWeave-certified and made without the use of pesticides, fire retardants, or chemical sprays of any kind. 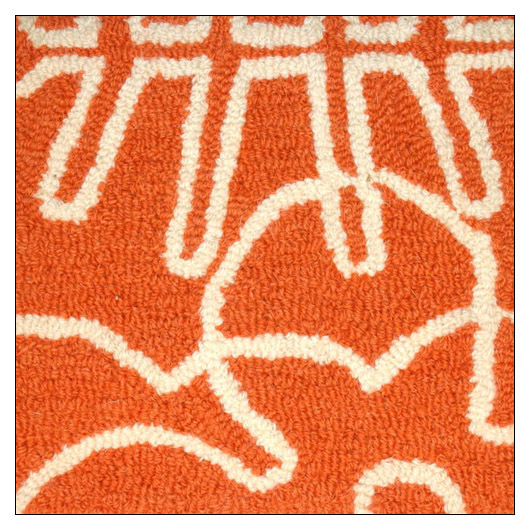 The larger size rug has a full color block on one end for a smooth transition.